Look sharp thanks to pleats with a permanent center crease. 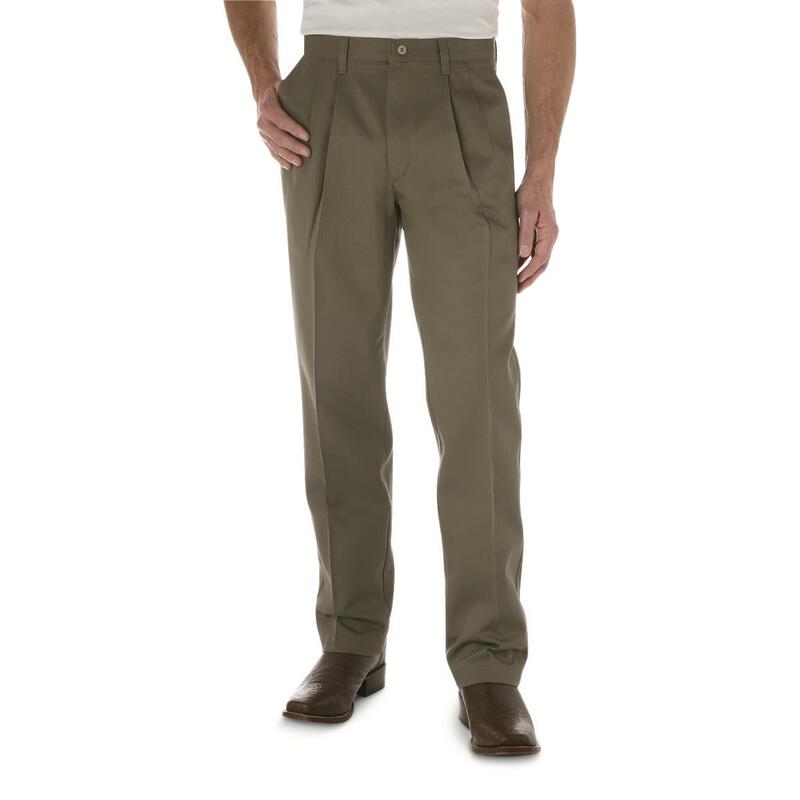 That defines these comfortable relaxed-fit Pants. But they're also stain and wrinkle-resistant. Pair these up with your button shirt for dinner or for work. 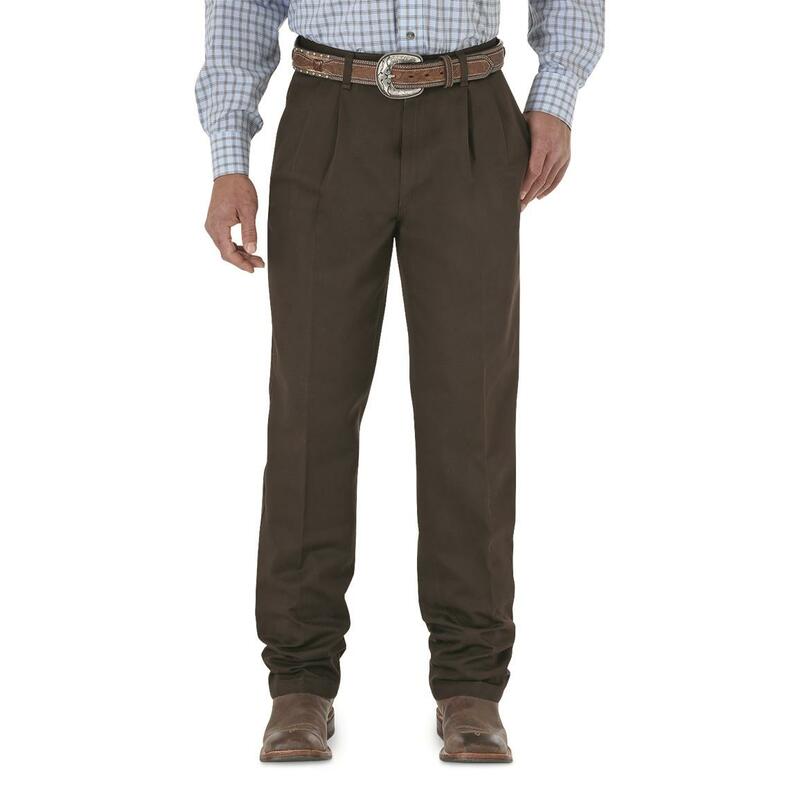 Order these Wrangler® Pants and get them sent right to you! Wrangler Mens Riata Pleated Front Casual Pants is rated 4.3 out of 5 by 108. Rated 5 out of 5 by MJ from I would buy this product again. My husband uses thes pant for his VFW honor guard uniform. 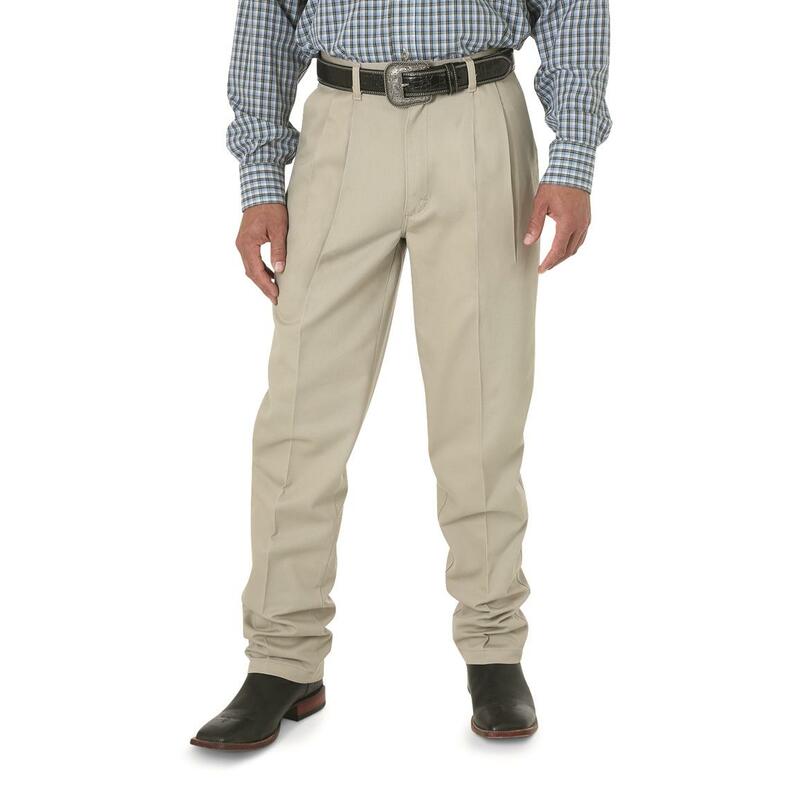 Rated 5 out of 5 by CW in LA from Very Happy Dad These slacks we're a hit for a very picky Dad! 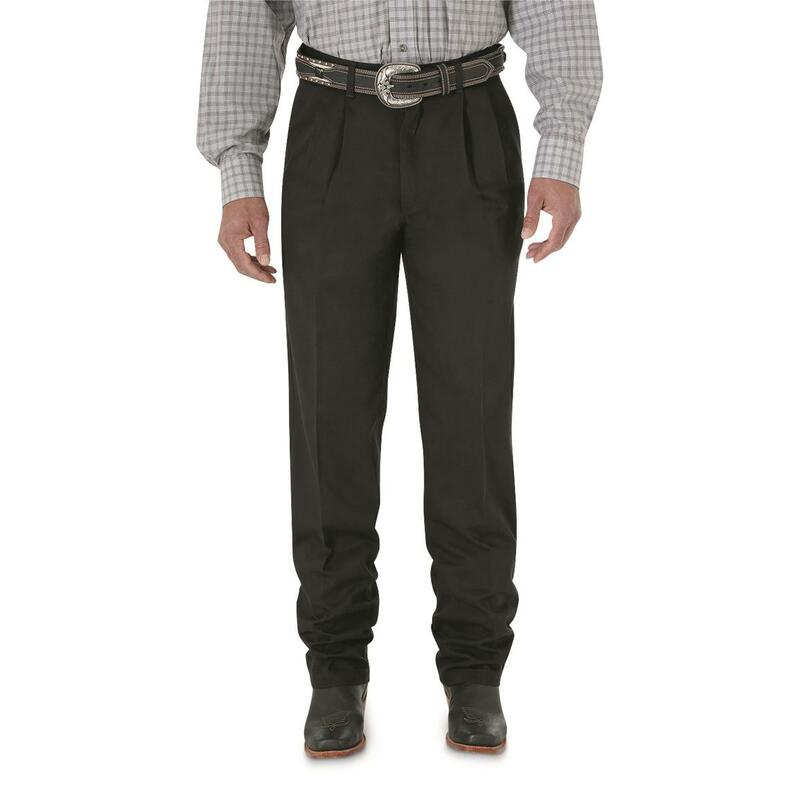 He hates slacks and when he opened them and saw they were Wrangler's, he was smiling! They fit perfectly and are dressy enough for church! Thank you! Rated 5 out of 5 by Kenny from Rare Great Fit I am skinny, and have a lot of trouble buying clothing off the racks in stores. I purchased these online, and was replacing a pair I did find in a store, miraculously. They fit better than other slacks I've had in the past. Some reviewers of my build have complained about a loose fit. while they're not as cozy as jeans, they're comfortable, and change doesn't fall out of the pockets, as with cheap slacks. They're a great value over more expensive op[tions. Rated 5 out of 5 by Old school from Just what we were looking for Great product!! We cannot find in stores Thanks!!! Rated 1 out of 5 by Kenny Harbula from I would not buy this product again After buying two pairs of khakis, I will never buy this brand again. Both pairs ripped at the knees within two weeks of purchase. One pair ripped the first day I wore them and the other took only two weeks to rip. Rated 5 out of 5 by Dragonfly from Wonderful Wonderful! Rated 3 out of 5 by The Preacher from I've had these before, but... The material seems to change. I've worn one of the three pair I purchased and the pair gathered lots of lent. 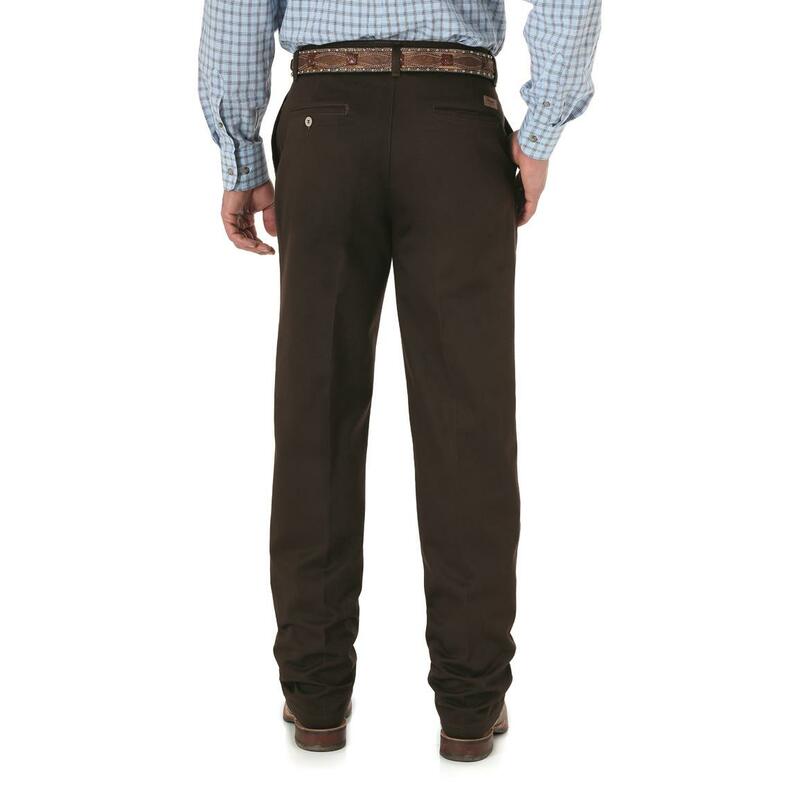 One of the things I always like about these pants was the sharpness of the crease and how easy it was to keep. One leg of these pants does not have a good crease and it did not flow into the pleat well. This is not what I have come to expect from these pants. 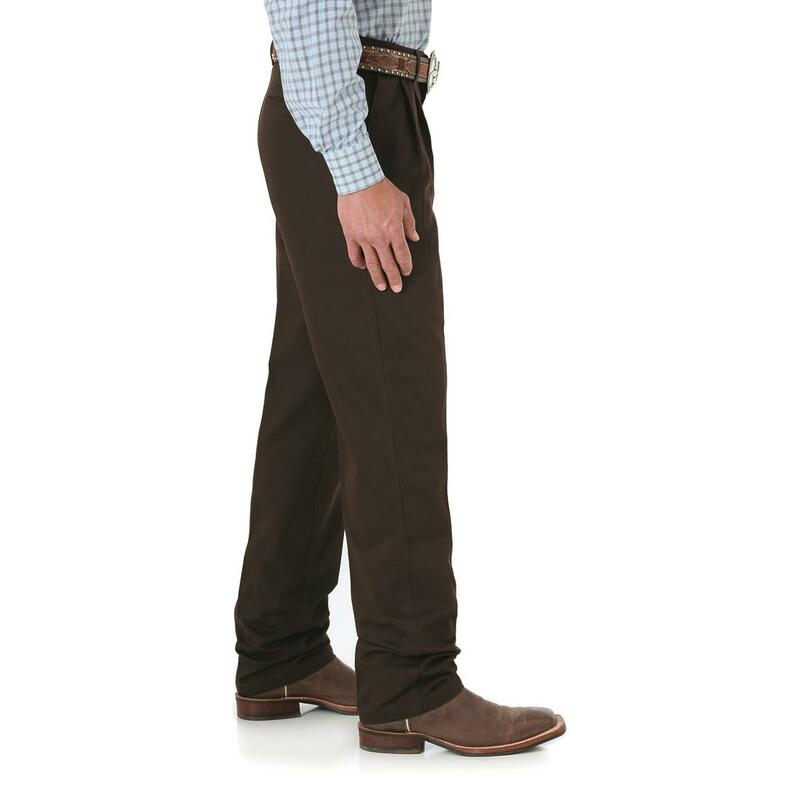 Rated 5 out of 5 by JML from The Best Biz Casual Pants I have several pairs that I have been wearing to work for the past several years. They are comfortable yet stylish. 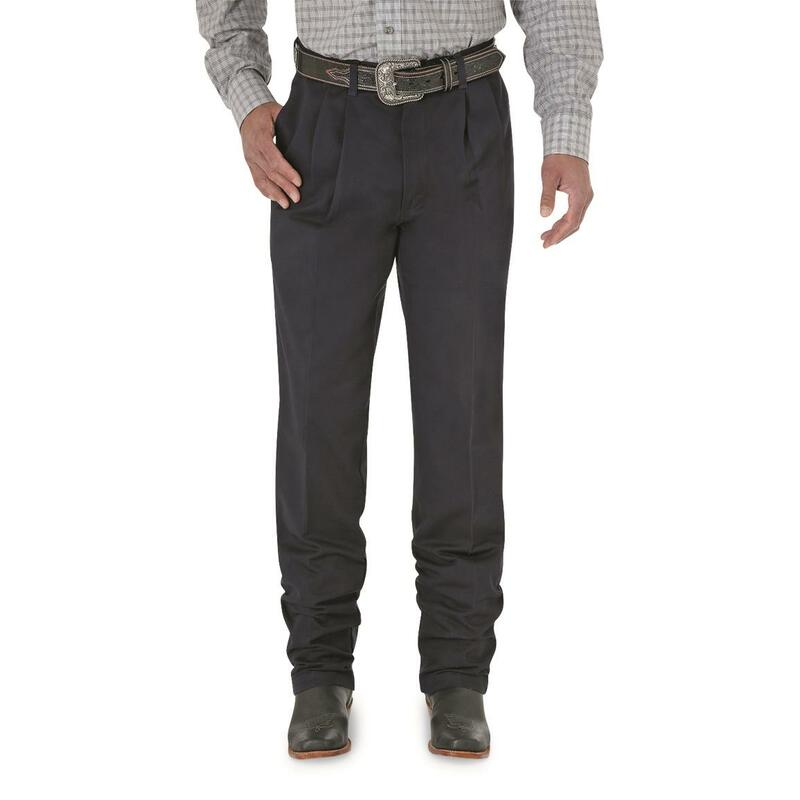 The quality is consistent with the Wrangler brand.